Voyance by Nyansa is the first platform to provide insight into the behavior of every device on the network, from the time of access to application use. Voyance correlates wired, wireless, and application data to form a complete picture of the user experience. 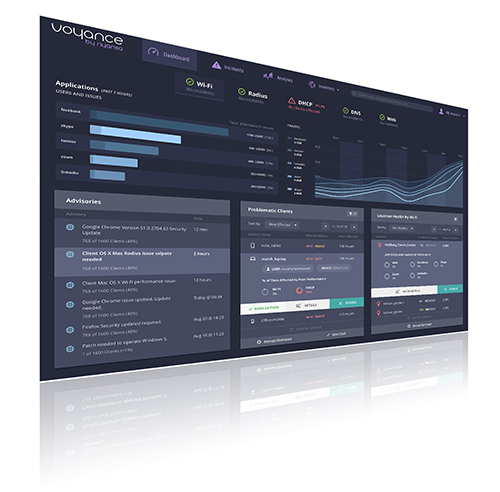 Customers from higher education, healthcare, retail, manufacturing, and general enterprise are using Voyance to improve IT productivity, optimize user experience, radically reduce problem resolution times, and quantify ROI for application performance behavior.